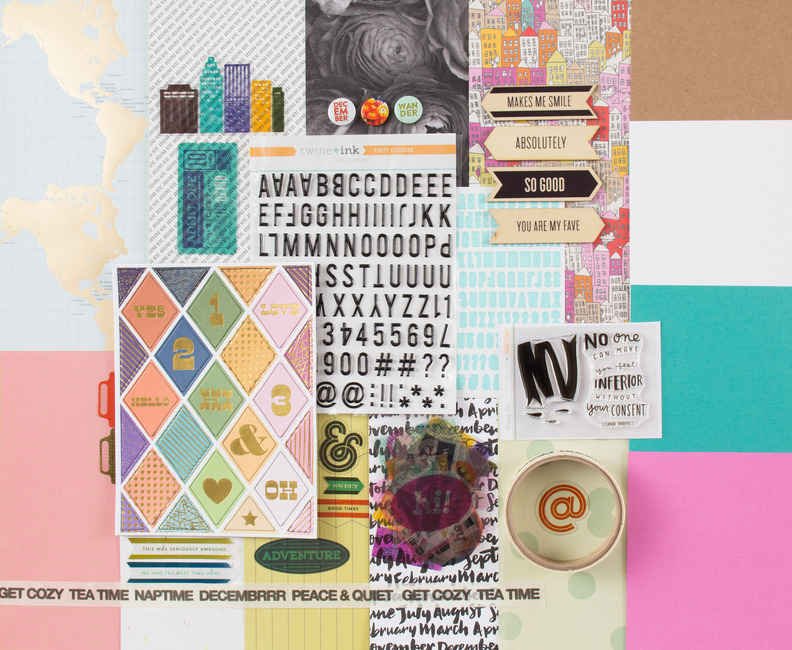 I have a start-to-finish how to video up on the Studio Calico blog today featuring supplies from the PARK AVE scrapbook kits (PARK AVE, RITZ, HELMSELY, and WALDORF - all of them are still available, woohoo! 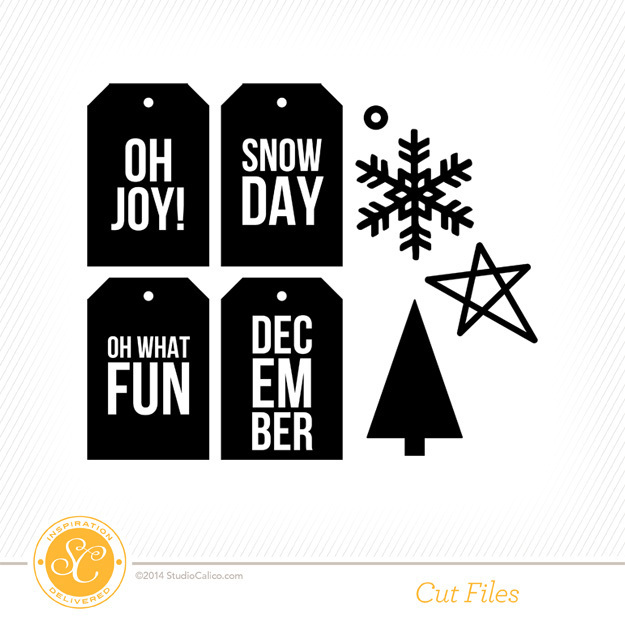 ), a snowflake cut file, and a wintery theme! 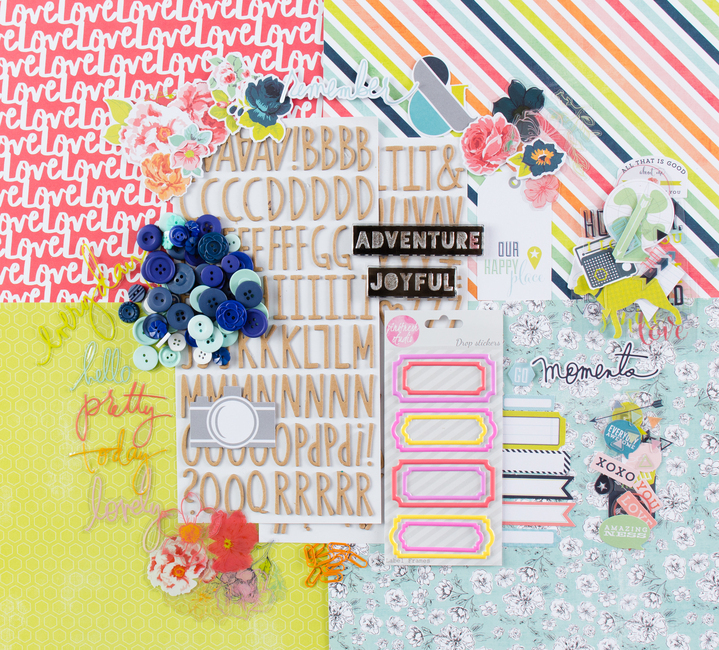 DESCRIPTION: For this layout I wanted show how these bright and colorful kits can be used for a winter-themed layout. I know traditionally when you think of winter you think white and blue and subtle tones, but goodness knows I love a punch of color! All with the help of my Silhouette CAMEO using a cute snowflake die cut! JOURNALING SAYS: I didn't even ask you guys to sit in front of the tree; this is you guys legitimately enchanted by all things Christmas! Holidays are so much more fun through you! Die cut the snowflake from light pink cardstock then trace the inner edge with a thick black marker. Tear small pieces of patterned papers, a couple hundred pieces or so, I should have counted! Trace the snowflake onto white cardstock then cover the traced snowflake with super sticky double-sided adhesive. Cover the adhesive with the torn patterned paper bits. 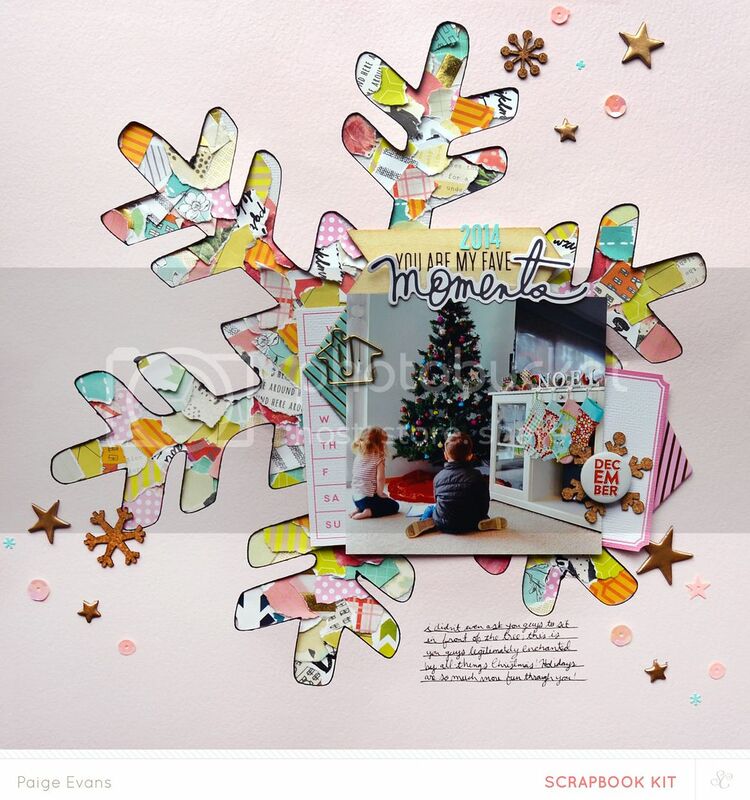 Glue the pink cardstock snowflake over the patterned papers. 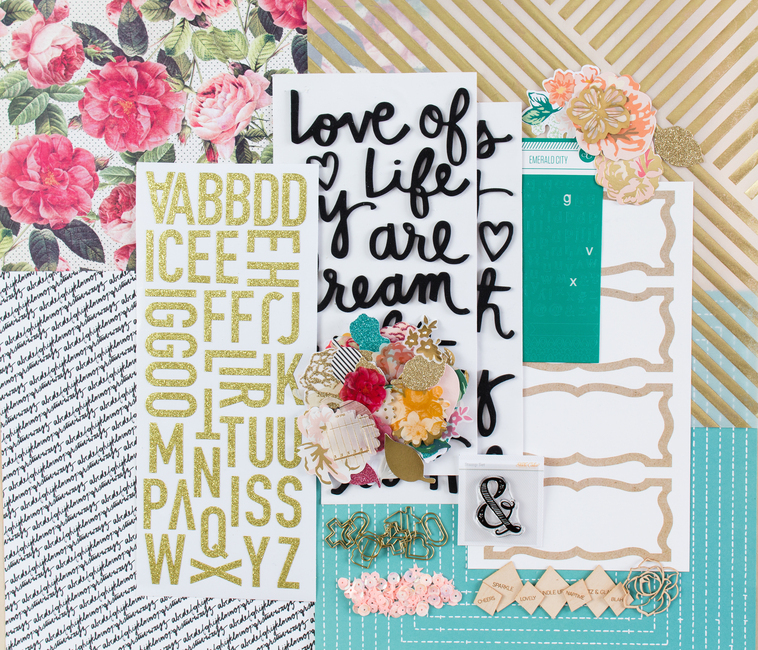 Add a photo slightly off-center then embellish with a printable days-of-the-week journaling card and printable label, wood veneer sentiment banner, "2014" mini number stickers, "December" badge, and chipboard diamonds (PARK AVE kit), "moments" die cut (HELMSLEY kit), house paper clip and pink sequins (RITZ kit), and cork snowflakes and chipboard stars (WALDORF kit). Journal with a .01 black pen below the photos. So amazing!! I loveeeeeeeee this so much!!! I love love love that snowflake!!!! So awesome Paige! 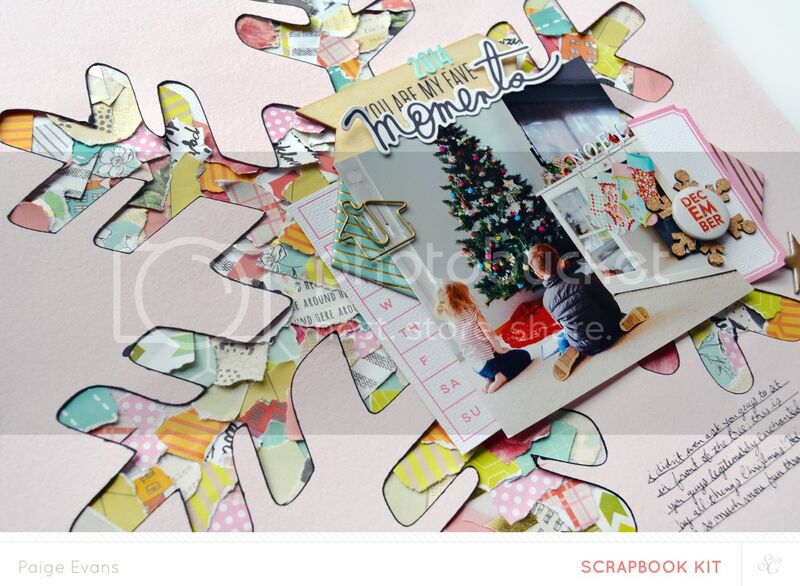 Love the mix of patterned papers filling in the snowflake! !